Sony Pictures is at a crossroads with All The Money in the World, their forthcoming Ridley Scott-directed drama based on the true story of the kidnapping of John Paul Getty III. The studio is considering pushing the film’s release date, and is also weighing canceling its premiere at the American Film Institute, though no final decisions have yet been made, per Variety. The cause of all this uncertainty? The rapidity with which All The Money in the World’s star, Kevin Spacey (pictured above, believe it or not), has become completely and utterly radioactive. If the film’s premiere is indeed delayed, it will likely be released in June 2018, rather than on Dec. 22, as currently scheduled. As of now, All The Money in the World is set as AFI Fest’s closing night presentation, screening on Thursday, Nov. 16 in tandem with a tribute to its producer and director Scott. Variety reports that Scott has urged Sony to cancel the AFI premiere, though other producers on the project disagree, holding that the $40 million film should roll out as planned. A rep for Scott did not immediately respond to Variety’s request for comment. Sony had positioned All The Money in the World to make an awards season splash, with Spacey’s transformative performance as billionaire oil tycoon J. Paul Getty leading the way. But as sexual misconduct allegations against Spacey continue to multiply—he’s been accused by actor Anthony Rapp, former employees and performers at London’s Old Vic theatre and numerous crew members on House of Cards—Sony has abandoned its Oscar push, attempting to salvage their awards campaign by featuring Spacey’s co-stars Michelle Williams and Mark Wahlberg instead. 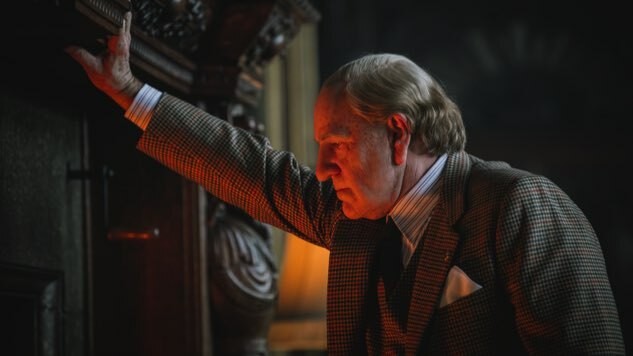 Revisit the mostly Spacey-less trailer for All The Money in the World here.